Do most of you still use Windows 7? I always wonder why the only previews for new skins are in Windows 7. As a Windows 10 user I find it frustrating that there is no preview. How will I know it will skin explorer properly etc.? For the Masterskins it is like purchasing sight unseen. 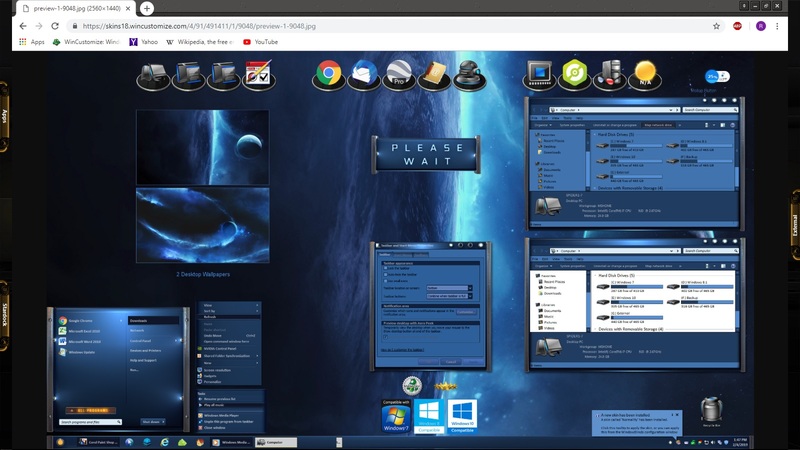 Well, I for one do my Master Skins for Windows 7, 8 and 10, and they look pretty well identical each OS. There is one issue with Windows 10, v1809 right now where the tree (drives) area on the left side of explorer is white regardless of what the skinner set the color to be though. Stardock was informed of this issue quite awhile ago, but they haven't even replied to my email yet. I think it is an issue that will need to be fixed by Neil Banfield, but I am not even sure if he works for Stardock any more as I messaged him too, but he never responded either. Except for that, and needed to use Start 10 and possibly OldNewExplorer in Windows 10 if you need to, all major areas of Windows 10 will look like the designers screenshots. All WB skins are compatible with Windows from Win 7 to Win 10 unless otherwise stated. Two screenshots below show Master Skins and the OS's they were made for. - ack, I see what you did there, just posted the skins' previews. Yep, I too can get confused. Everything that Tom (LightStar) said, is correct. If I'm not mistaken (please correct me if I'm wrong), to make Master Skins, they must support Win 7, Win 8, and Win 10. I, like other Master skinners will say in the description what OSs is supported, so you aren't purchasing sight unseen. If I'm not mistaken (please correct me if I'm wrong), to make Master Skins, they must support Win 7, Win 8, and Win 10. Pretty sure you're running Old New Explorer there Ross, right? Actually no...not running Old New Explorer. Haven't done that in some time. 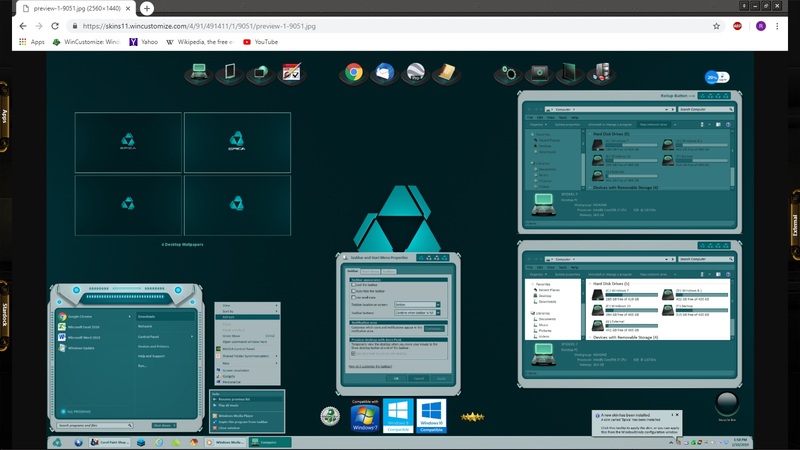 If you have the Window Background color in SkinStudio set be the same as the Explorer Background (Win 10) color for Windows 10, it will be the darker color yes Andy. But changing that Window Background color to a darker color screws up a lot of applications, Microsoft Office and some other major applications too. Somehow Windows 10, v1809 overrides the setting for the Explorer Folder Bar Background (Win 10) and forces it to be white if the Window Background color is set to white as needed for some applications. I just wish Stardock support or Neil Banfield would acknowledge my emails / messages on this issue. It has screwed up a LOT of skins made before the 1809 update. Sorry to say gmc2, but Master Skins do not have to be made for all current OS's, never seen that anywhere. Personally though I do it for all 3 OS's to accomodate more people. Actually Dave they are the SS that are the preview with the uploads. Now I am using ONE and have never had a problem. Here is my win 10 SS. Old new Exlporer is a MUST for me Design-wise. I agree with you Andy! If you don't have win 7, I agree 100%. 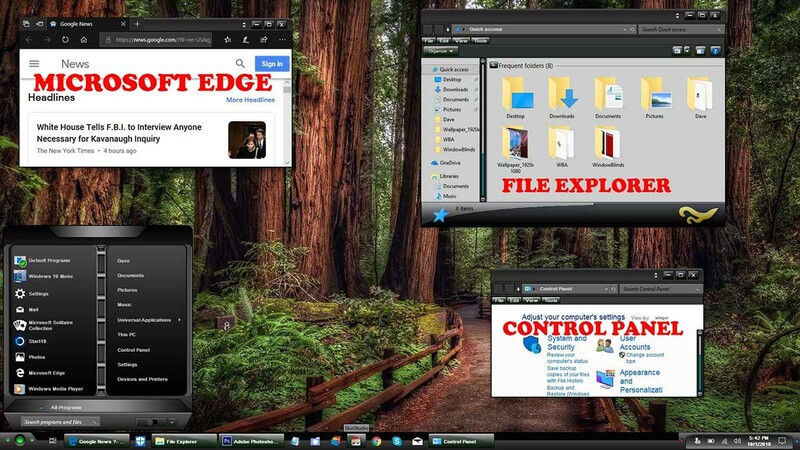 If it looks good on win 10 it will look good on win 7. Providing you are using oldnewexplorer. I use W7 and will till MS quits supporting it. I do believe Master Skins have to include 2 OS's. Thank you, I thought it was explained to me by ID, when I became Master. Is that in writing anywhere WOM? I have never been told or seen that.